Empty Cages Collective does amazing rescue work in and around New York City for not just cats and dogs, but a wide range of wildlife, including birds, opossum, raccoons and squirrels. 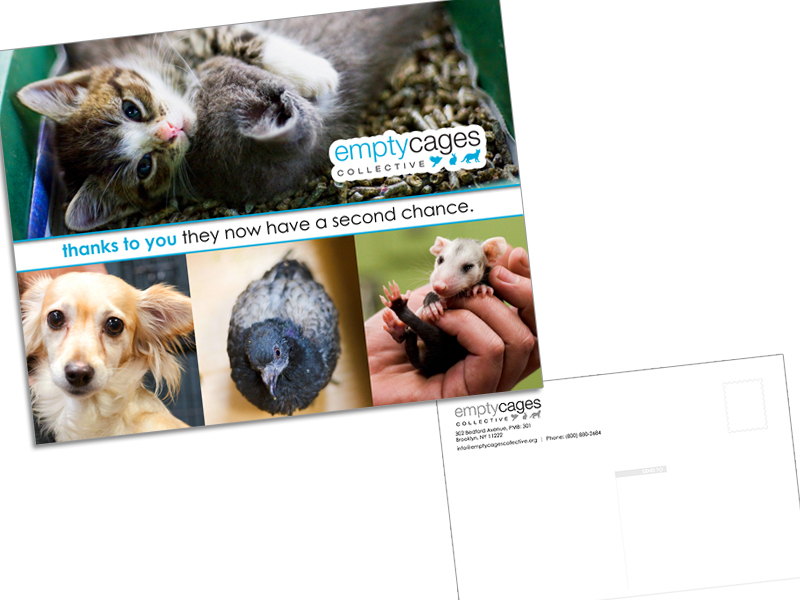 Since their hands are busy taking care of so many animals, they needed a quick yet personal way to thank their donors. We came up with a postcard that got the message across on the front and provided enough room for a personalized one on the back.